Last May, the European Parliament, first within the International Trade (INTA) Committee and then in Plenary, delayed the approval of the Free Trade Agreement with Colombia and Peru requesting that both countries first design a “transparent and binding road map on human, environmental and labour rights”. The EP Resolution was an important success in the sense that it went beyond labour and environmental aspects to demand that Colombia include measures to combat impunity. Resolution P7_7A (2012) 0249 indeed requested that the Colombian authorities take „the necessary steps to end impunity and investigating, prosecuting and punishing in civil courts those most responsible, both intellectually and materially, for the crimes committed in Colombia“1. Since then, the Colombian government has produced a roadmap which includes some elements of the EP Resolution. However, the road map of the Colombian authorities remains silent on the fundamental issue of impunity for international crimes, evidencing that no efficient provision is in place or foreseen to combat it. This is all the more worrying that the Colombian government is currently pushing for a revision of the Constitution which would extend the jurisdiction of military Courts to serious human rights violations and breaches of international humanitarian. As eleven UN experts have highlighted, the proposed reform of Articles 116, 152 and 221 of the Constitution will place serious crimes such as extra-judicial executions, forced displacement, sexual violence against women and the recruitment of child soldiers, among others, under the jurisdiction of military Courts. This reform clearly contradicts the European Parliament’s call for investigation through civilian courts, in a context where serious human rights violations continue in Colombia. Peace can not be built on impunity and at the expanse of the right to truth, justice and reparations for victims. Between the first half of 2010 and the first half of 2011, massacres have increased by 29%, raising from 17 cases to 22. In 2011, 49 human rights defenders (HRDs) and 29 trade unionists have been murdered, and it is estimated that nearly 90,000 households were displaced. There is almost total impunity concerning crimes committed by the army, including extrajudicial killings. 1,713 of the 2,463 opened cases remain at investigation level, and convictions were pronounced in only 30 of these cases2. With regard to crimes committed by paramilitaries, 30,000 of the supposedly demobilised members of paramilitary groups have actually benefited from a de facto amnesty, like the 3,000 people who benefited from the Justice and Peace Law (Law 975 of 2005)3. Concerning crimes committed by the guerrillas, the legal framework for peace, which provides for the establishment of transitional justice instruments, establishes criteria for priorisation and selection of cases which will affect criminal proceedings against guerilla members and the military personnel responsible for serious violations human rights. FIDH considers that the road map proposed by the Colombian government does not correspond to the conditions decided by the European Parliament to allow the ratification of the FTA. FIDH believes that it is necessary for the road map to cover all the aspects highlighted in the Resolution, including impunity, to allow the EP to monitor adequately4 the road map in a country like Colombia were serious human rights violations persist. The EU strategic framework and action plan on human rights and democracy adopted in June 2012, foresees reinforced consideration of the human rights situation in third countries in connection with the conclusion of trade agreements. European Parliamentarians are key to ensure that the FTA with Colombia and Peru corresponds to the EU ambition to “place Human Rights at the centre of its relations”, by “mak[ing] use of the full range of instruments at its disposal”, “in all areas of its external action without exception” including “trade”. Between 3.8 million and 5.2 million people were internally displaced between 1997 and 2011, which represents 7.5% to more than 10% of the population. 3345 cases of executions are attributed to State agents, of which 1622 were recognized by the Public Prosecutor Office (Fiscalía) as of August 20105. More than 16 000 cases of disappearances have been recognized by the Attorney General’s Office since 1980. Over 1000 Indians have been killed over the last ten years, and 54.9% more in 2011 than in 2010; 34 indigenous communities are in danger of being culturally or physically exterminated. A total of around 2,500 graves and more than 3000 corpses have been found since 2004. Nearly 10,000 people have been victim of anti-personnel mines between 1990 and January 2012, of which almost 40% were civilians, and a quarter of them, children6. 2 Figures announced by the Colombian State during the hearing before the Inter-American Commission on Human Rights (IACHR): Derechos humanos, política de defensa y seguridad en Colombia, 146th Session, November 2, 2012. 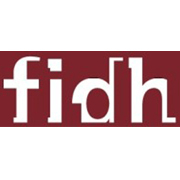 3 FIDH, Colombia: the European Parliament can contribute to end the commission of international crimes and to respect the work of human rights defenders and trade unionists, May 2012.